When I picked St Kilda as my AFL team, good era had already gone and Scott Watters sought rebuilding the club. I cannot see myself blossoming much in profession or personal life. My life is always in the developing mode, in my perception. Communication issues occurred 48 hours prior to the St Kilda match and kept going. I admit I had got emotionally negatively and lost my self-esteem. Unfortunately I am not a relaxed person and unable to relax. I worry a lot. These attitudes apply to watching St Kilda games. I have never been relaxed watching Saints in action. But I am happy and proud to be a Sainter. For the Perth game, I was confident to win the game due to past two wins and Dockers’ loss to Suns in the previous week. Having been given a three-hour break at work from 2 pm, I was able to watch the live coverage for first quarter. I was at a local Starbucks cafe. But the home side dominated the footy and the first score (behind) was paid to them (Hill’s behind). However Acre’s goal from attacking midfield relieved me and I sensed the mighty Saints would be three-zero. Unfortunately, Walters, Hill and McCarthy shot three goals while I was watching the match live. Numbers of goals were coincidentally matched by the number of supporters at the current Dingoes. We have three Fremantle supporters while I am the only player who barracks for St Kilda. My hope to bounce back was shown in Perth, but my knowledge of the score after my long shift was Saints losing by five points. I was sad but the margin was smaller than when I closed the Watch AFL App. Watching the replay on Monday morning, Freo kicked three goals in a row at second quarter putting us to trail by five goals. But Bruce kicked a goal at the good angle. Membrey’s set shot was in the good hot spot, but the ball was kicked too far left. I was so disappointed to see, but Billings took a mark and he’s done the brilliant job. Billings covered well in the goal square. Both teams put pressure on opponents and Saints fought back hard. But Freo’s lead was five at the main break and going up and down, and then went back to five at the final siren. It was a tough game. Boys showed great efforts, but such attitudes had be seen many times in my time with the Saints. I admit I have been sick and tired of losses and hearing the next time all over. Like my life issues, I may be impatient to support St Kilda Footy Club. Or like BJ, I have strong passions of being a Sainter?? Staying positive is the key to support the struggling club? And to achieve my life goals? 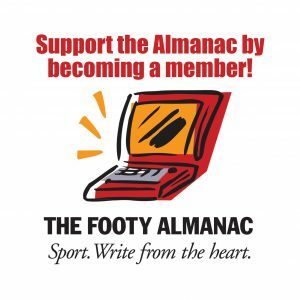 Getting rid of Goddard and Dal Santo would direct us far behind to rebuilding. It may distract their mates including Riewoldt and Montagna? Saints supporters are required to stay strong, unfortunately. But our community is strong. That’s why I am proud of supporting the mighty Saints. Stay strong, Yoshi! You don’t strike me as a quitter, so head down tail up and work your way through the challenging times and ride the waves when you get on top. 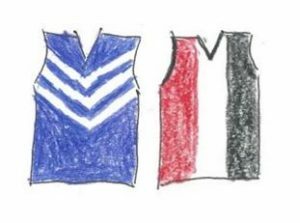 There are plenty of other clubs which have challenges of similar proportions – my Bombers among them. Thanks Ian. Hope your Bombers are flying up well soon. Do you think you need someone to speak up like Brendon Goddard? I have just watched the Captain’s Run on AFL 360. Nick Riewoldt says he laid his head on arms while players spoke up in the circuits that Melbourne Demons have had recently. His patience was required in his captaincy at St Kilda… Cheers. I know what you mean about being unable to relax when watching your team, Yoshi. Sometimes the last place you want to be is actually at the game, watching it on TV or listening on the radio – there’s a horrible sense of powerlessness. And losing a close game is absolutely gut wrenching, as happened to the Saints on Sunday. At least St Kilda beat Gold Coast and Essendon in nail-biting matches. Speaking of the Gold Coast, Suns supporters wouldn’t want to have weak hearts in 2019. Thanks for your comment and my apology not getting back to you sooner. Indeed I want to follow the game live no matter which way, although I much prefer to be at the stadium. However it’s rare now as I live in Japan. If I live in Melbourne, it would not be always the option for games played in Melbourne because I would play footy. Matt told us I took things too serious when we had cricket mixed drills on Saturday. My passions are reflected on but that means I am not a relaxed person..